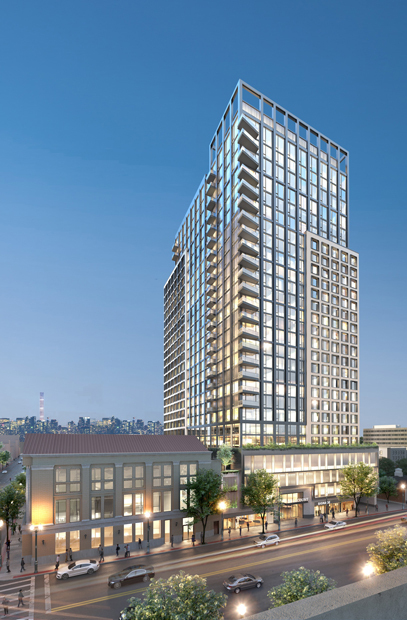 L+M Development Partners, together with Wilder Balter Partners, Inc., is developing a mixed-use and mixed-income residential rental building in downtown New Rochelle. The development will rise to 27 stories and contain 380 residences, in addition to structured parking and retail. Centrally located in downtown New Rochelle, just off Main Street, the project will be a five-minute walk from the Metro North and Amtrak rail stop. It will also take advantage of easy access to the I-95 and the Hutchinson River Parkway. Construction is slated to begin in late 2018.